After a long winter that sometimes seemed like it would never end, spring planting is just around the corner. 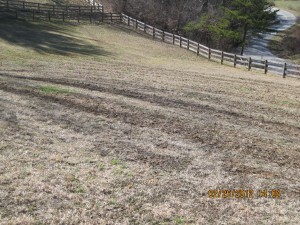 And despite all the time we had to prepare for the new season, we are now feeling not quite as ready as we’d like to be. 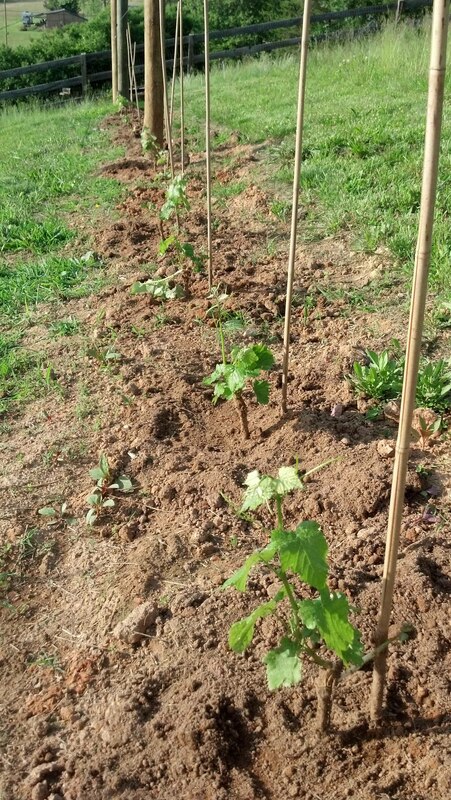 We’ve ordered 150 vines –50 Petit Verdot, 50 Cab Franc, 25 Viognier and 25 Petit Manseng – and lately I’ve been waking up in the middle of the night wondering if we’ll have everything in place in time to plant. I’m still worried, but we’ve made enough progress lately, especially this weekend, that I’m feeling a bit better about the whole enterprise. 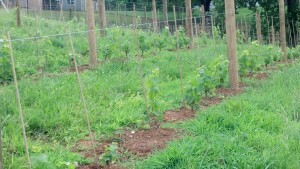 The Nelson County Vineyard - complete except for the trellising, vines and deer fence! 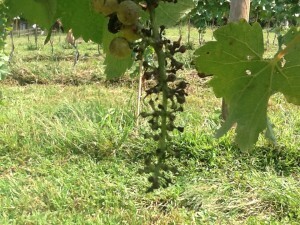 One of the toughest calls we've had to make concerns the types of grapes we’re going to grow. I know what I like – well, to be honest, I like a lot of things when it comes to wine. Almost everything actually. But I especially love Bordeaux-style blends, wines made with some combination of Cabernet Sauvignon, Merlot, Cab Franc, Petit Verdot and maybe some Malbec, as well as blends from the Southern Rhone (Grenache, Syrah and Mourvedre, and perhaps a bit of Cinsault). And I haven't even started on the single-grape varietals that I love, which are too numerous to mention (but I’ll give it a shot anyhow): each of the above-named Bordeaux and Rhone grapes on their own, plus Pinot Noir, Nebbiolo (especially Barolo), Sangiovese, Chardonnay, Viognier, Sauvignon Blanc, and – okay, okay, it’s time to stop. You see the problem. If the world were a perfect place, I’d just pick the grapes I love the most, and we’d have some wonderful blends and some lovely single-grape varietals. 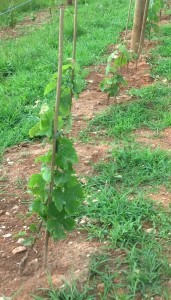 We won't have 14 rows of Cab Franc, but we will have Cab Franc! 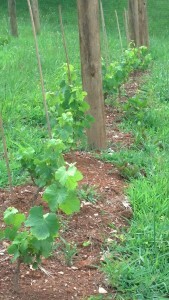 Gironde River or in Napa or even in the King Family Vineyard a few miles away in Crozet. 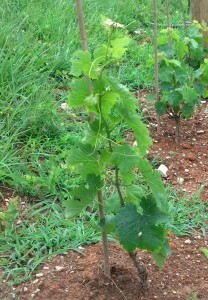 And it’s not just a question of why our Merlot will be different from Merlots grown elsewhere. 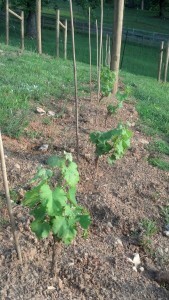 It’s also a question of whether Merlot can be grown successfully on our property at all. 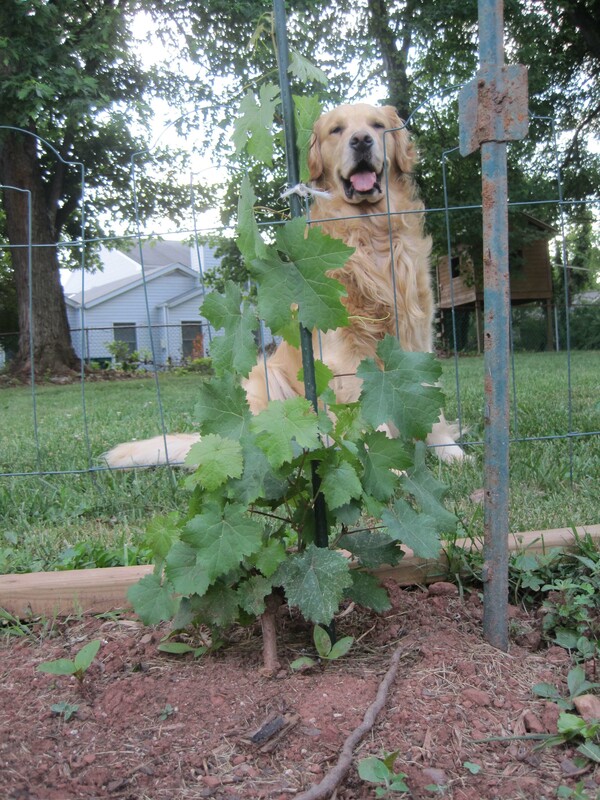 We're not so sure about Merlot. 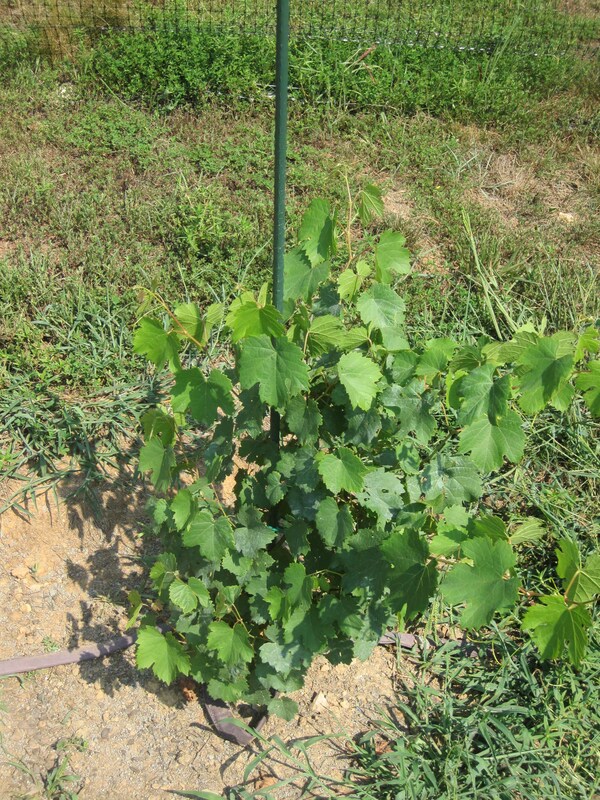 The fact is, Virginia isn’t the easiest place in the world to grow grapes. 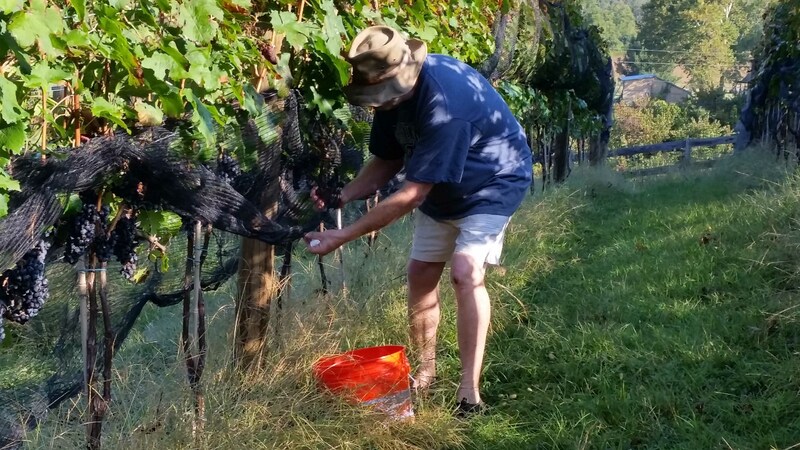 Unlike the wine valleys in California or eastern Washington state, we are dealing with humid summer days and lots of rain, and we can’t count on the kinds of long sunny days that you get in, say, Sonoma County. 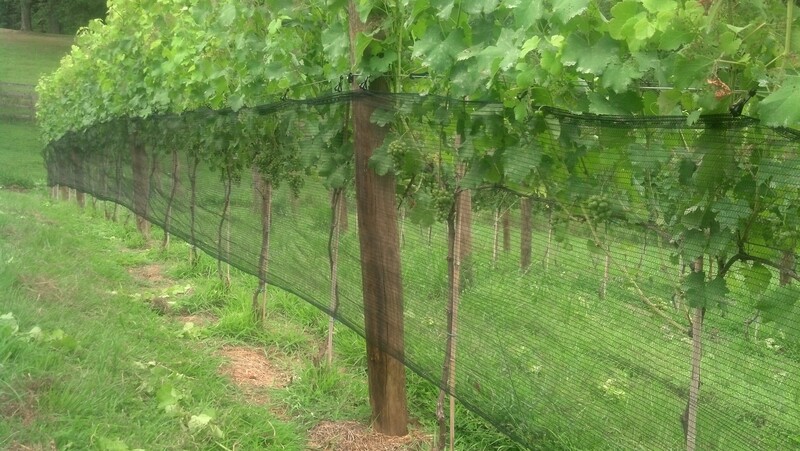 Our property is about 760 feet above sea level, below the thermocline that provide optimal temperatures for grapes and protection from late Spring frosts or early freezes. 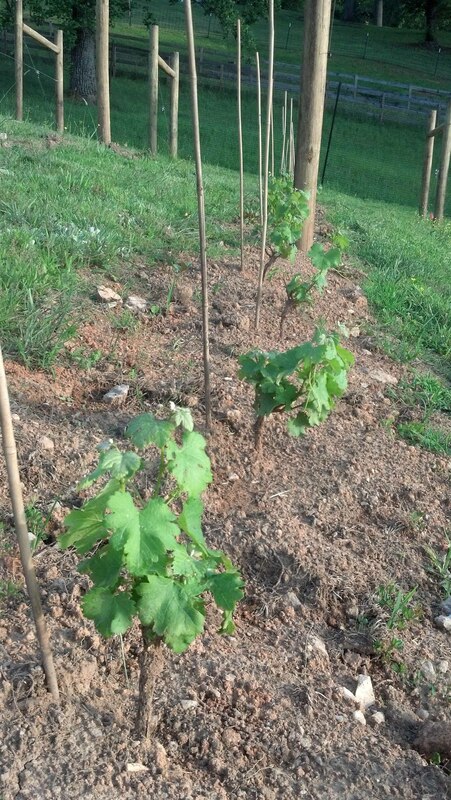 We’ve learned a lot about viticulture (so much so that if we were in the army, the body of knowledge we’ve accumulated would fal­l under the heading of “knowing just enough to get us killed”), and so we’re feeling like we want to plant a larger vineyard this Spring. 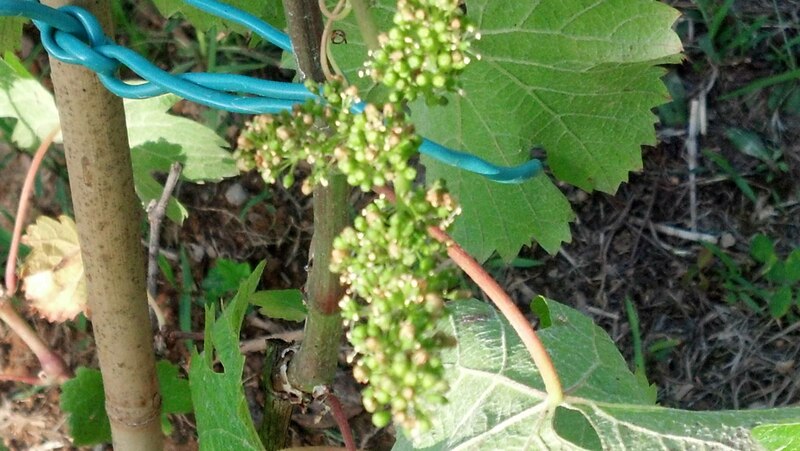 “Larger” is a relative term, of course; given that we’re starting with a vineyard of seven vines, it would be hard to go smaller. We’re thinking of something between 100 and 200 vines. 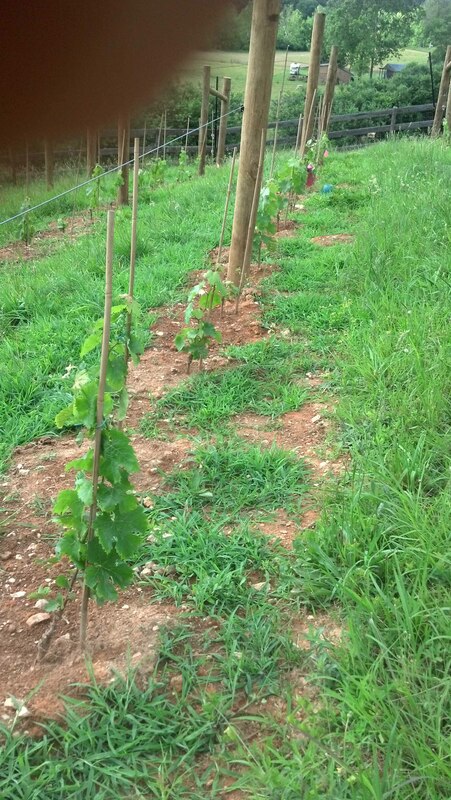 Our Nelson County vines are feeling lonely – hopefully this Spring we’ll give them some company. Most people in the business, even most backyard vintners, would regard that as a small undertaking, but it’s large for us, especially since we won’t be living close to this vineyard for at least the next few years. 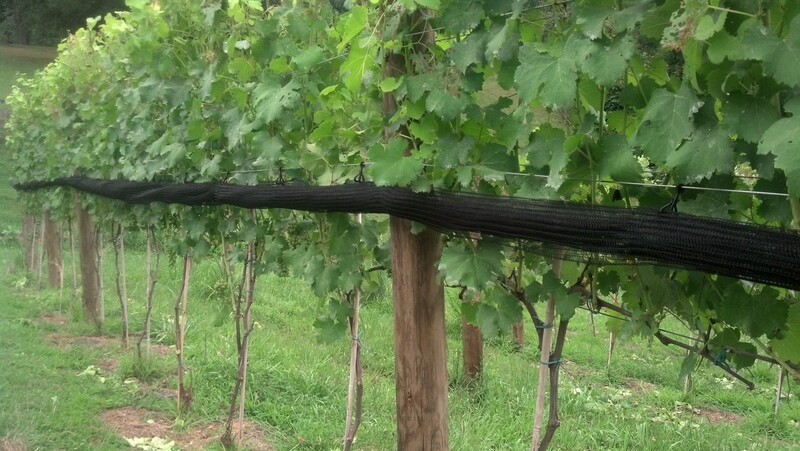 Everything we plant has to be maintained, and that includes spraying very soon (within 24 hours) after any rainfall that drops more than three-quarters of an inch of water onto the vines. So, while the number of vines we’re considering is very small by most standards, it’s sizeable by the criteria most relevant to us. 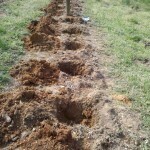 However, it makes the question of what grapes to plant – and how many different types of grapes to plant – much more complicated. 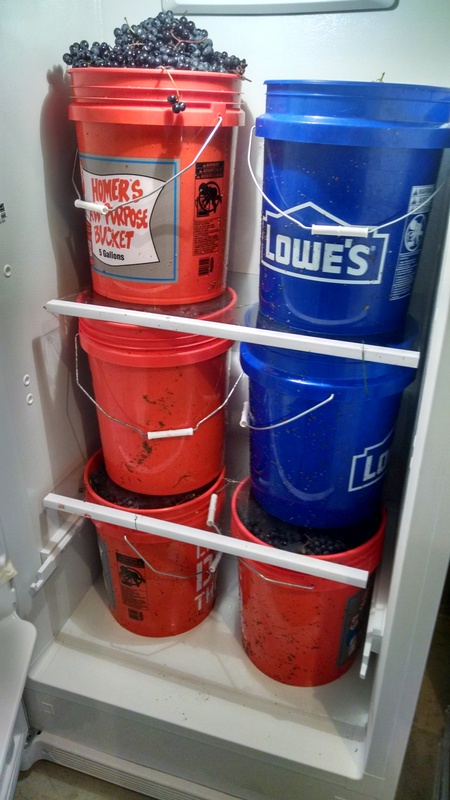 In a small vineyard like ours, it’s probably best to plant relatively few types of grapes, since it’s easier to process 50 gallons of one type of wine that 25 gallons each of two varieties. 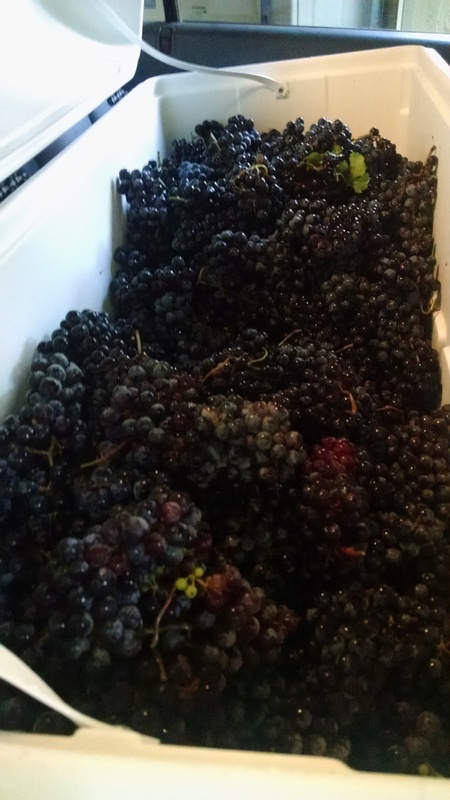 Well, we’re going for fun, not efficiency, so we’re thinking of four or five, all in the Vitis vinifera family of European-style grapes. 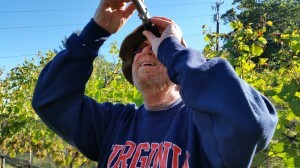 There are others, such as Norton, a Virginia original, that are much easier to grow (less spraying, less worry all around), and many Virginia wineries say that Norton is their most popular grape. 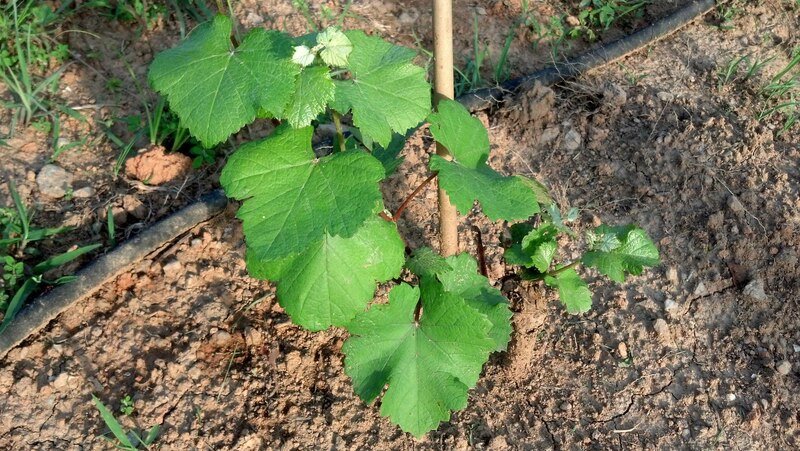 But again, we intend for this to be a labor of love, so while we’re not going to disregard entirely issues of suitability, we’ve decided to grow varietals that we love. First off, we want a white, and Viognier has been named Virginia’s signature grape by the Virginia Wine Board. 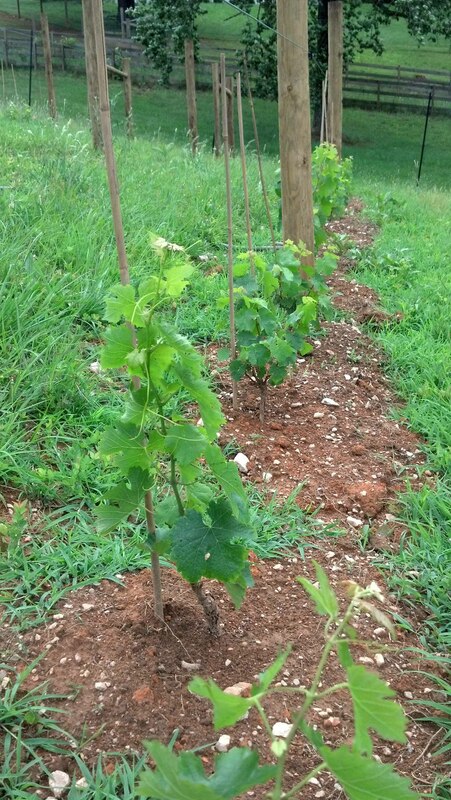 We wouldn’t agree that Viognier is the best grape, period, for Virginia, but among whites, we do think a Virginia Viognier is something quite special. 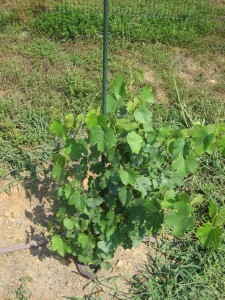 Chardonnay and other whites do well here, but I think Viognier grown in Virginia has the potential to be world class. 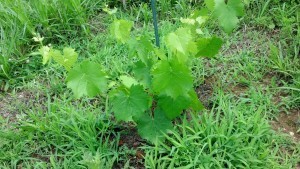 So, Viognier makes the cut – three (or maybe four) to go. Next, we’d like to have some kind of desert wine, and after drinking a bottle of Petit Manseng from Veritas Vineyards over the weekend, we decided to add that one as well to the shopping list. Two down, now on to the reds. We like Bordeaux-style blends, so we want to choose from among the great grapes of Bordeaux: Cabernet Sauvignon, Merlot, Cab Franc and Petit Verdot. (I’m not counting Malbec, which I doubt will do well on our property.) 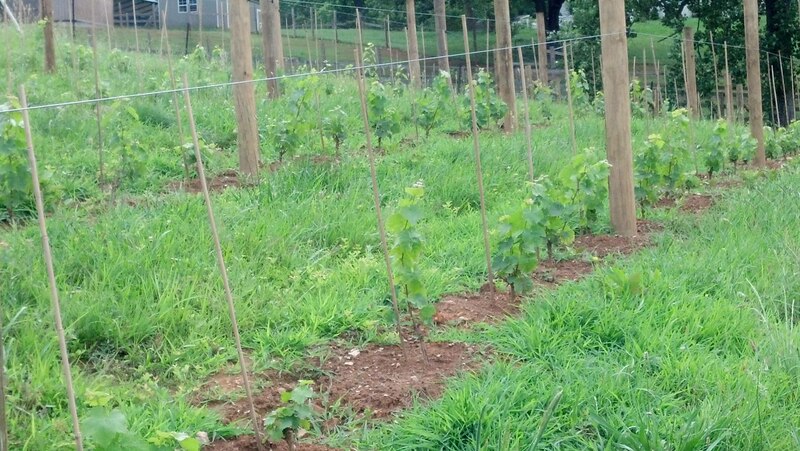 We’ve had all four from Virginia wineries, so we know they’re at least realistic options. 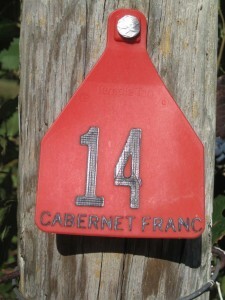 Almost everyone agrees that Cab Franc does well in Virginia, and we’ve had good Cab Francs from many wineries. In addition, the dozen Cab Franc vines that we planted in our two separate “vineyards” seem to be doing quite well, despite the late planting. So Cab Franc seems like an easy choice. 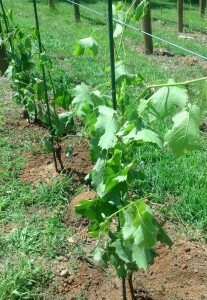 But the results we’ve observed from Cab Sauv and Merlot are a bit spottier. 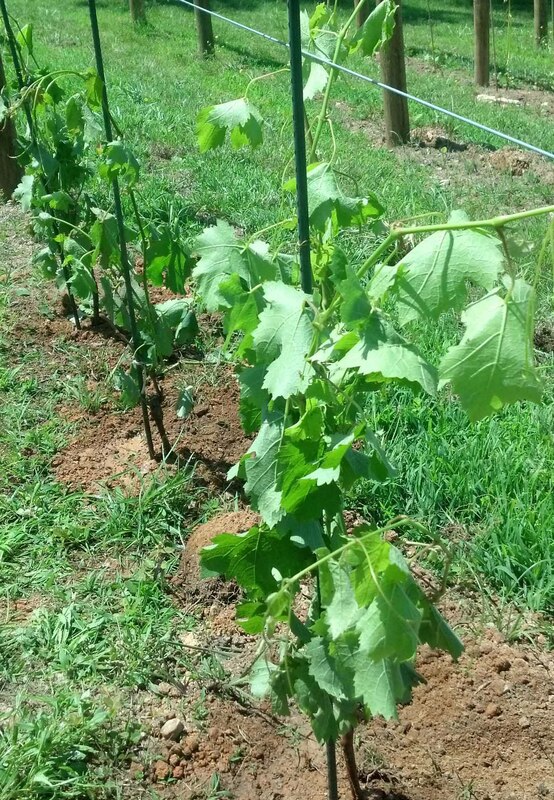 We’ve had very good Merlots from King Family Vineyards, among other wineries, and we tasted a lovely Merlot at Barboursville Vineyards Saturday, full of fruit, and very drinkable. 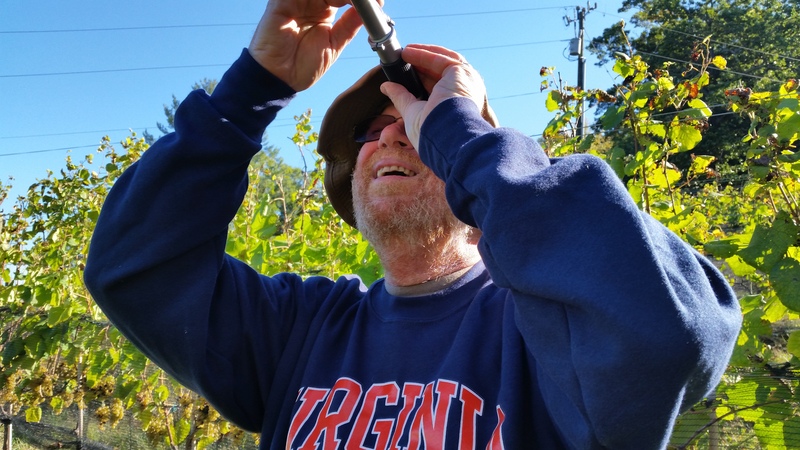 I’ve also had a few Cabs from Virginia wineries that I’ve enjoyed, including one at Barboursville last weekend, but on the whole, I have to say that I haven’t loved Virginia Cabs as much as I would have liked. It would be nice to have one of the two for Bordeaux blends, and while my heart is always with Cab Sauv, my head tells me that Merlot is the better choice for us. This is a tough one. That brings me to Petit Verdot. 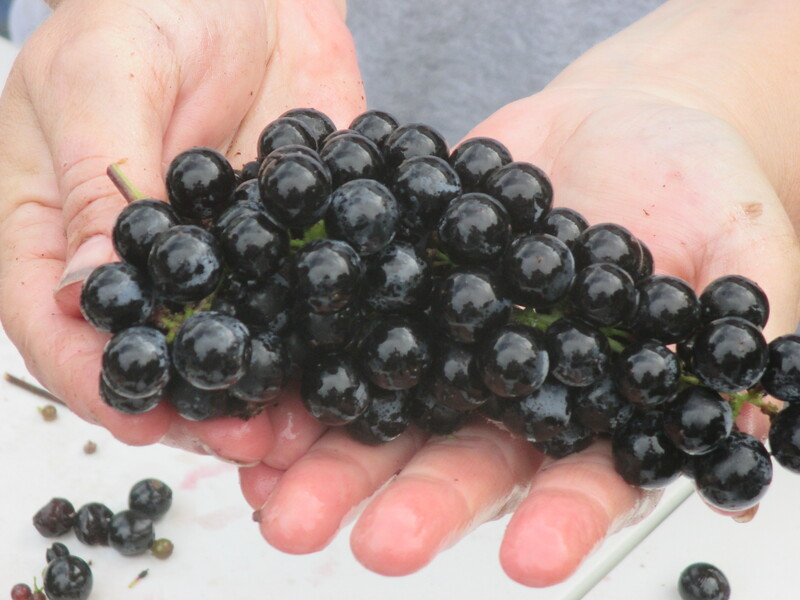 Two years ago, I had never tasted Petit Verdot as a varietal, and I can recall being surprised the first time it was offered in a tasting room. I remember enjoying it, but thinking of it as a bit of a novelty. I had grown up believing that Petit Verdot was a blending grape that was used in small amounts to correct acidity in Bordeaux blends. A few weeks ago, when we decided to give Petit Verdot serious consideration for our vineyard, we visited a couple of wineries that bottled this grape as a varietal. 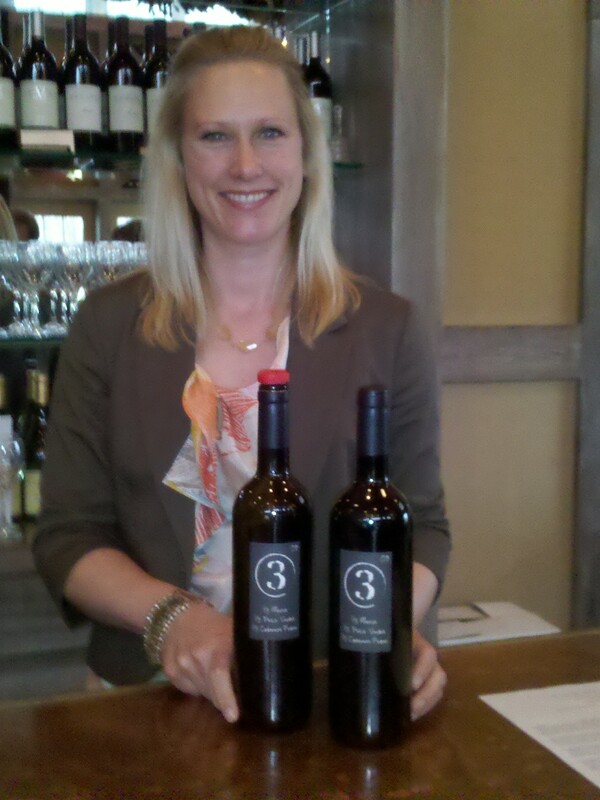 Both were sold out, which we thought was a good indicator of what wine-drinkers think of Virginia Petit Verdot. Phoenix, the Vineyard Dog, inspecting BOW's tank room. Here he is walking away from a tank after discovering that it was empty. 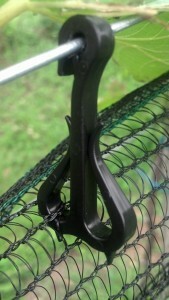 Our major concerns at this point were all practical. Petit Verdot is a late-ripening grape, at least as late as Cab Sauv, which we think might be hard to grow, and that concerned us. 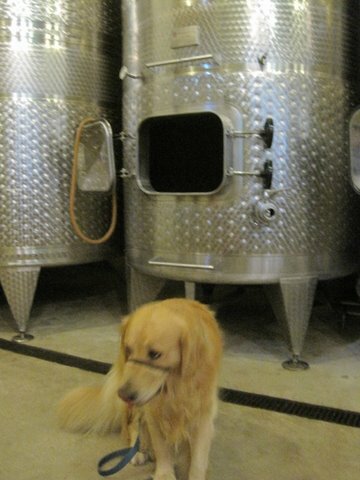 On the way home from Nelson County Thursday, we stopped at Barrel Oak Winery (BOW), which is not only dog friendly (Phoenix the Vineyard Dog was traveling with us), but we thought it featured a Petit Verdot (PV for the rest of this post). Alas, BOW was also sold out of PV. However, we lucked out. 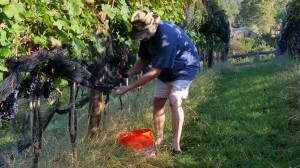 Sharon Roeder, who owns BOW along with husband Brian, and serves as its winemaker, took us on a tour of the winery, and offered a barrel sample of the 2010 PV. It’s not so easy to tell how a wine will develop as it continues to age in the barrel, and then ages some more in the bottle. But I was just blown away by this Petit Verdot. It’s a big, bold, exuberant wine that is just full of fruit. I would have loved to have poured a bottle and taken it home. 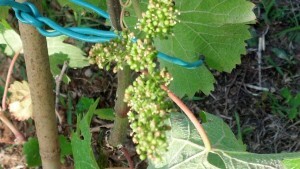 However, this wine has a ways to go before it’s bottled sometime in the Spring of 2012. 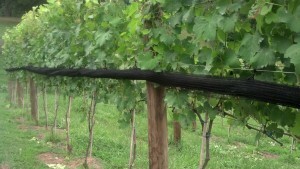 Before bottle aging starts, it will have spent 15 months in oak. Fortunately, BOWs 2009 PV will be released in a couple of months. I expect to be first in line. 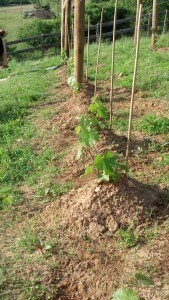 So, that tasting eliminated by doubts about growing Petit Verdot. Maybe it’s more difficult than other grapes, but the results are surely worth it. And while I agree that Viognier is Virginia’s signature white grape, I’m wondering if Petit Verdot will join Cab Frank as the Commonwealth’s (by my reckoning) signature red. 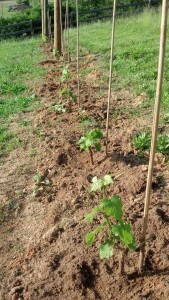 So, we’re done to Viognier, Petit Manseng, Cab Frank, Petit Verdot, and maybe Merlot. Now the real challenges begin. 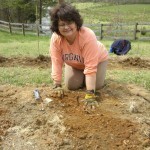 How much of the total vineyard to plant next Spring? How many of each varietal? 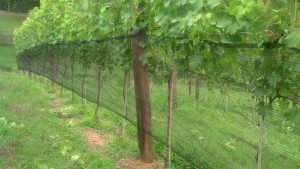 And which nursery to buy the vines from? Tough questions. Probably best to ponder them over a glass of wine. Maybe a Virginia Viognier. 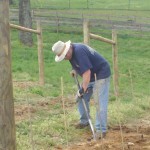 I'm planning to add some reviews of the wineries I like, but that will take a bit more time than I have today. 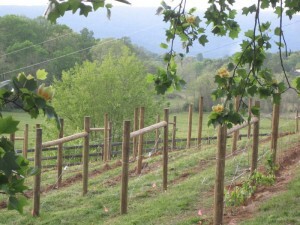 So, for now, I'm just going to offer a list of three wineries in the Monticello AVA that I am particularly fond of. And there is a theme here: these are the three wineries who came together to make a wine they named (appropriately enough) "3." 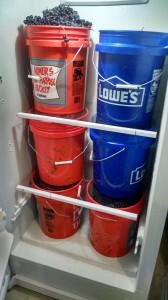 Each of the three contributed one of the varietals to the blend. Pollak Vineyards provided the Petit Verdot, Veritas Vineyard and Winery supplied the Cab Franc, and King Family Vineyards contributed the Merlot grapes. In theory, they planned to blend one third each of the grapes, but in practice, I think they realized that a blend required some judgment, and would likely end up being something other than one-third each. When blending wines, as I learned from King Family winemaker Matthieu Finot, you spend a lot of time experimenting and tasting. In this particular blend, I'm guessing that the Petit Verdot was very powerful, and they may have decided to use less of it and more of either of the other two grapes. No matter. 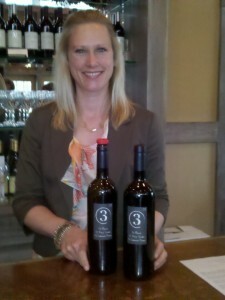 The wine was fabulous, and since they only made 150 cases, it sold out quickly. Each customer at Veritas was limited to three bottles at $33.33 each — yes, they carried the 3 theme pretty far — and I personally think this one will age quite well. So my three bottles are stored in my EuroCave wine celler, waiting for that perfect moment in the near future when they will achieve perfection.